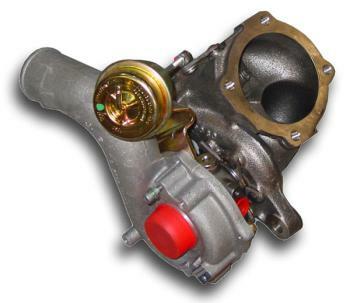 APR Tuned Turbo - K04 Turbo Kit - Dezod Motorsports Inc - Home of the automotive performance enthusiast since 2002. APR’s Transverse 2.0 TSI Audi S3 and VW Golf R Engine Conversion Packages will upgrade your current factory rated 200hp and 207lb-ft Transverse 2.0 TSI Engine with all of the necessary OEM components from the European Audi S3 and VW Golf R and meticulously recalibrated Engine Management to produce 366 horsepower and 380lb-ft of torque on 93 octane gas. Reliability, drivability, stealth and enhanced performance that cannot be bested are the highlights of APR’s newest OEM-component based conversion package. APR’s engineers have expertly recalibrated the engine management system to allow for nearly flat torque delivery from 3000 RPM to 5000 RPM which results in a smooth linear pull throughout the power band. Keeping the track enthusiast in mind, this conversion package will not result in overpowering of the driveline but will allow for smooth acceleration to easily maintain control while cornering. APR’s Transverse 2.0T FSI Audi S3 and VW Edition 30 GTI Engine Conversion Packages will upgrade your current 200hp and 207lb-ft Transverse 2.0T FSI Engine with all of the necessary OEM components from the European Audi S3 and VW Edition 30 GTI along with APR’s FSI High Pressure Fuel Pump and meticulously recalibrated Engine Management to produce 355 horsepower and 368lb-ft of torque on 100 octane gas. Reliability, drivability and enhanced performance that cannot be bested are the highlights of APR’s newest OEM-component based conversion package. APR’s engineers have expertly recalibrated the engine management system to allow for nearly flat torque delivery from 2500 rpm’s to 5000 rpm’s which results in a smooth linear pull throughout the power band. Keeping the track enthusiast in mind, this conversion package will not result in overpowering of the driveline but will allow for smooth acceleration to easily maintain control while cornering. The Borg Warner K04 turbocharger selected by VAG engineers is perfectly sized for the 2.0 liters of displacement to allow for stout horsepower numbers as the rpm’s increase with no fall off as redline approaches. This ensures plenty of power in the high rpm’s for continued acceleration in the straights or for shifting back into the healthiest portion of the power band at the drag strip. APR is proud to release our K04 upgrade kit for the transversely mounted VW’s. Our kit includes the K04 turbo, the compressor inlet O-ring, four turbo to downpipe studs, one manifold to turbo gasket, 4bar fuel pressure regulator, and one turbo to downturn gasket. This kit is a straightforward turbo swap that makes a big difference in the power output of the car. This kit makes solid gains in both horsepower and torque. With no other mods than an APR Turbo-Back Exhaust, the kit made 242hp/268lb-ft on 91 octane gas, and 245hp/275lb-ft on 93 octane gas. Although the exhaust is not required, it is highly recommended. If you are currently an APR Stage I or II customer and purchase a K04 upgrade, you will receive all EMCS options for free (Please Call for Details). APR is now proud to release our K04 upgrade kit for the B6 Audi A4 1.8T. Our kit includes the K04 turbo, the compressor inlet O-ring, three turbo to downpipe studs, one manifold to turbo gasket, four Bosch fuel injectors, and one turbo to cat gasket. This kit is a straightforward turbo swap that makes a big difference in the power output of the car. This kit makes solid gains in both horsepower and torque. With no other mods than an APR Exhaust, the kit made 247hp/286lb-ft on 93 octane gas. Although the exhaust is not required, it is highly recommended. If you are currently an APR Stage I/I+ or II/II+ customer and purchase a K04 upgrade, you will receive all EMCS options for free (Please Call for Details).